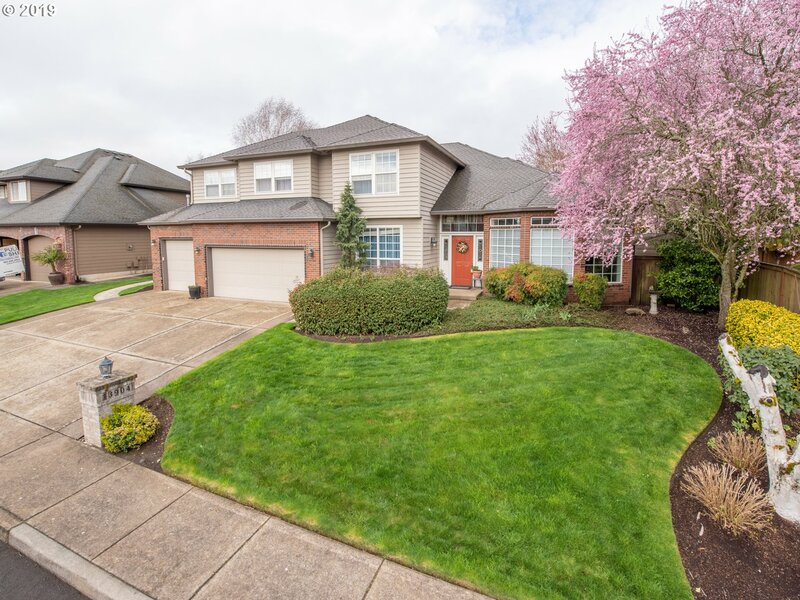 All ASHLEY HEIGHTS homes currently listed for sale in Vancouver as of 04/19/2019 are shown below. You can change the search criteria at any time by pressing the 'Change Search' button below. "This once in a lifetime custom home sits securely inside a gated section of one of Clark County's most highly sought after communities. Enter into a vaulted wall of picture window view that overlooks the privately owned green space, onto hand scraped acacia hardwood floors, into a gourmet kitchen, a master suite with shower steam room, Jack and Jill bath for BDR 2&3. The Basement has approx 2000 sq ft unfin. (not Included) 4 car garage." "Exceptional Ashley Heights property on nearly an acre. Located in a gated community surrounded by trees and boarders a greenbelt with a creek. The house is a 2 story, with an additional unfinished basement. The hardwood floors on the main level,with built in vacuum system and plenty of extras. Along with the 5 bedrooms, there is also an office, Nursery and bonus room. Open House 2/2 - 2 to 4pm"
"Impressive 2 story in Ashley Heights. 4bdrms, den/small 5th bdrm on main floor, bonus room upstairs w/closet could be 6th bdrm. 3 full bathrooms upstairs including a Jack & Jill, plus a 3/4 bath on the main floor, all tile! Beautiful hardwood floors. Other updates include newer carpet, entry staircase beautified, kitchen refreshed, crown molding and wainscoting. Professional quality sport court." "This stately Ashley Heights home on a 10,000+ sq ft lot is sure to impress w/its high ceilings, wainscoting, chair railing, solid maple floors on the main, slab granite, built in appliances, central vac & surround sound. Spacious Master Bedroom has a FP & a balcony overlooking your gorgeous backyard featuring pergola, deck, patio, sprinklers & shed along w/ beautiful mature vegetation. Everyone gets their own space in this 5 bdrm home!" "Beautiful home in fought after Felida's Ashley heights neighborhood. Large home features 5th bedroom/den on main. Open bright and light. gourmet kitchen, center island, pantry, gas stove. Formal dining room, kitchen open to family room. gas fireplace, huge master suite with spa like bathroom. walk-in closet. all bedrooms large. bonus room up. Large wood deck for entertaining. private treed fenced yard. oversized 3 car garage."